This recipe is a staff favorite here at the 131 HQ! Made with just a few simple ingredients, it hits the mark on several criteria. Affordable, easy, antioxidant-rich and oozing with bursting berries and a sweet crispy crust, it’s one of our, “this CAN’T be healthy” faves. 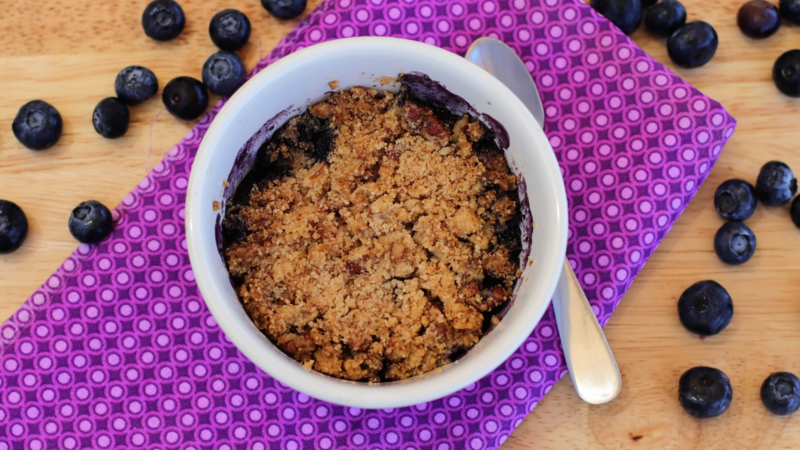 To keep this recipe Ignite-friendly, measure out your blueberries! With the right macros, desserts totally fit into the 131 Method. All our recipes provide the macronutrient profile to keep you on track. Want more info about the 131 Method? Click here. 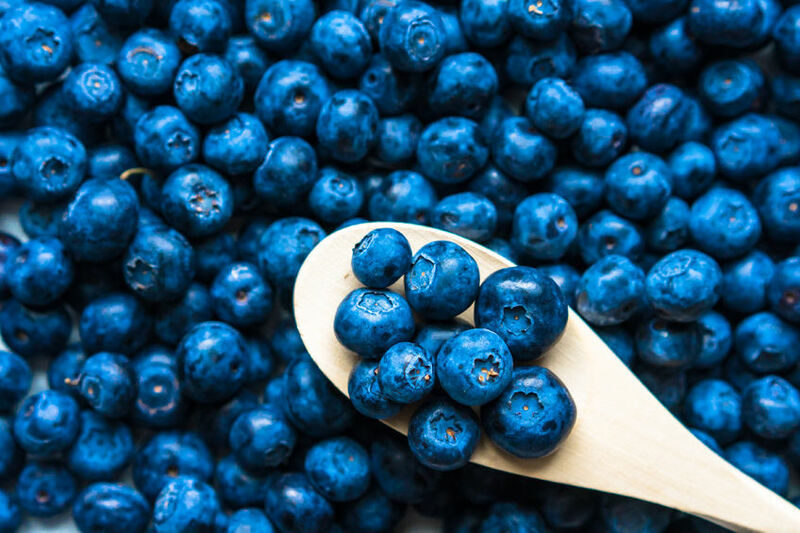 Add blueberries to a small ramekin and sprinkle with 1 teaspoon Swerve. In another small bowl, whisk the almond flour through salt. Spoon over the berries. Place in oven for 28-30 minutes, or until golden on the top. Remove from oven, let cool slightly, and top with coconut cream, if using. **Feel free to substitute butter, ghee or coconut oil. What is the Importance of Glutathione? Is there anything else you can recommend as a substitute, when you have food sensitivities to dairy and coconut? Thanks! We actually don’t cook with much dairy at all. The very rare recipe might have a little goat cheese. That’s the beauty of the 131! For dairy, we often sub in a cashew cheese (or coconut, which is sounds like you can’t have). Coconut can be tricky; it depends on what. Milks – you can try other ones like almond, cashew, hemp or flax. For coconut flour- there’s nothing that’s as thick, so you’d need a blend of something like almond and cassava.